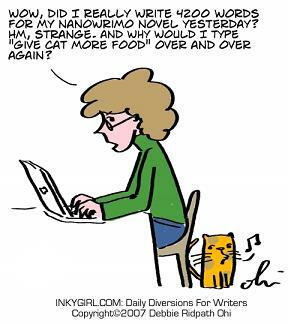 Hang in there November, NaNoWriMo is coming! NaNoWriMo???? I must be crazy. For those of you that don´t know about this, you can take a look here. 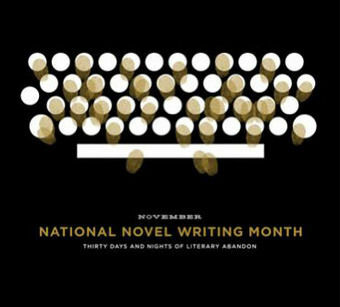 But basically is the National Novel Writing Month, and any writer can register in this event. You just need to have the courage to do it and all the energy of the world. In order to win (many people can win), you need to write 50 000 words in all the month, so that would mean 1666,66 words per day, and yes I´m taking into account, weekends, which for me is the challenge. I don´t feel it too bad to write that amount of words per day. I usually write between 1000 and 1500 per day, but I must confess that I don´t write all days of the week. I may write perhaps 4 days and no more. Usually, I will spend 2 days per week with my inner Editor on (which sooner is going to let me insane, I´ll tell you about this in another post); and Sundays, I don´t write, the lazy worm invades me completely. There are so many things going on Sunday, from doing laundry, cooking for the family, etc, to just spending lazy comforting time with my loved ones. Whenever my mom says on Sundays, let´s watch a movie, believe me I never think of rejecting it, it´s golden time to be able to spend time with her; and well writing gets mostly postponed on Sundays. But if I don’t write Sundays in NaNoWriMo, I will have to write almost 2000 words per day, and that is a lot. I usually get burned at 1500 and sometimes 1000 is my best of the day. So maybe I should consider, waking up early on Sundays, the only day I get to oversleep? Hell yeah! I will do it! 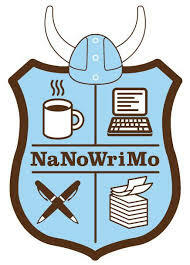 because is NaNoWriMo and not LazyWormMo, and I need to take this challenge and put my 100% in doing it! It´s going to be a hell of challenge, but I can imagine the satisfaction at the end of the month, when you know you have written 50 000 words… overwhelming!!! So getting ready for the craziest months of the year!!! Hang in there November, you´re going to be my month!! !